In 2018 Think Inside Me was already a veteran band in the Madrid music scene with Javier García in the lead. They have a new line-up that has given a much more forceful sound with the signing of Óscar Fernández and Rafa Saguar. 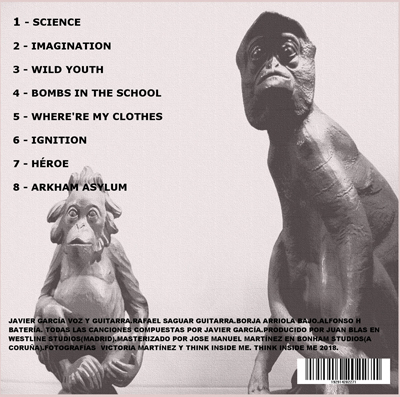 Together, with the young and talented Borja Arriola on bass, the band gives form to Javier’s diverse compositions. They guarantee an explosive live listening experience with very heavy and powerful sounds. Think Inside Me recorded their first EP in 2018 at Westline Studios in Madrid. The songs are a great example of the different styles within the Grunge Rock genre.